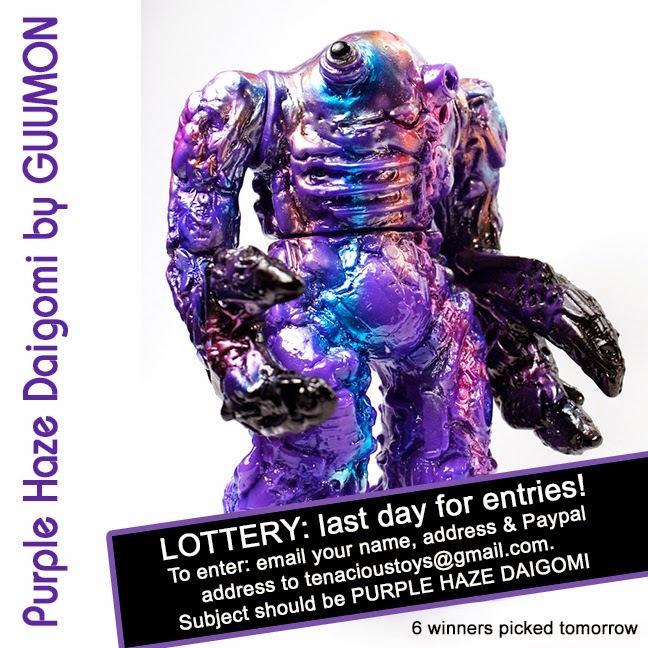 GUUMON Purple Haze Daigomi: last day to enter our lottery! 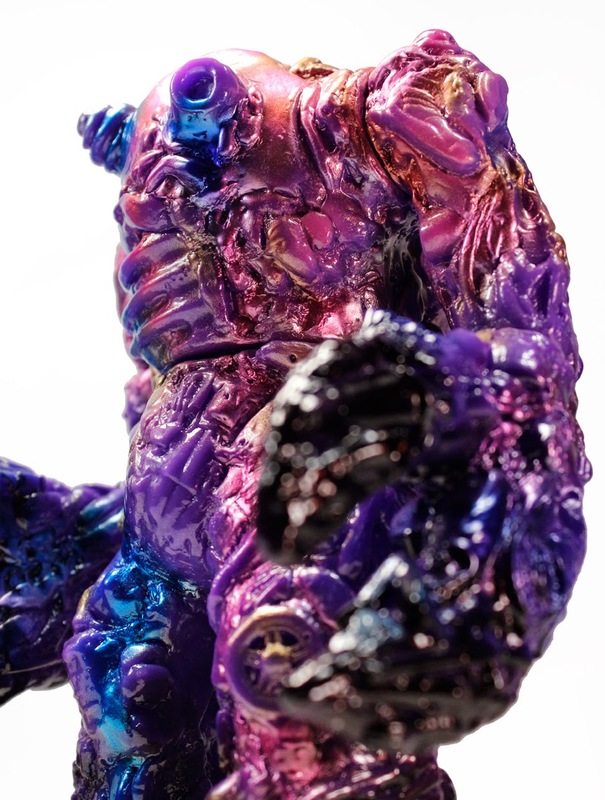 Today is the last day to submit your entry to the lottery we are running for these 6 Exclusive Purple Haze Daigomis, kindly produced and painted up just for Tenacious Toys by the amazing GUUMON. 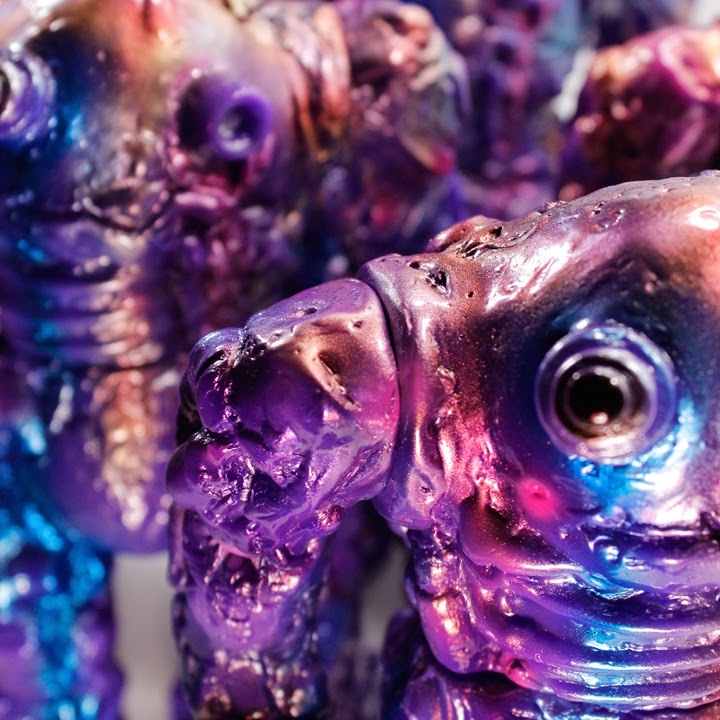 Winners picked tomorrow; Purple Haze Daigomis are $150 each + shipping. 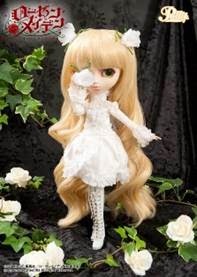 There's one "chase" which has extra gold paint spray (see below) and it will be shipped randomly. 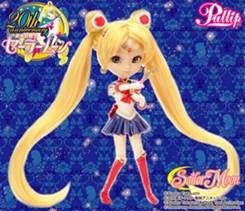 Email me at tenacioustoys at gmail dot com with PURPLE HAZE DAIGOMI in the subject line and give us your name, address and Paypal addy in the email. Good luck!!!! Since there's only 6 of these, I will NOT be selfishly keeping one for myself, although I really want to. I will be sad every time I ship each of these 6 pieces out. Aargh! 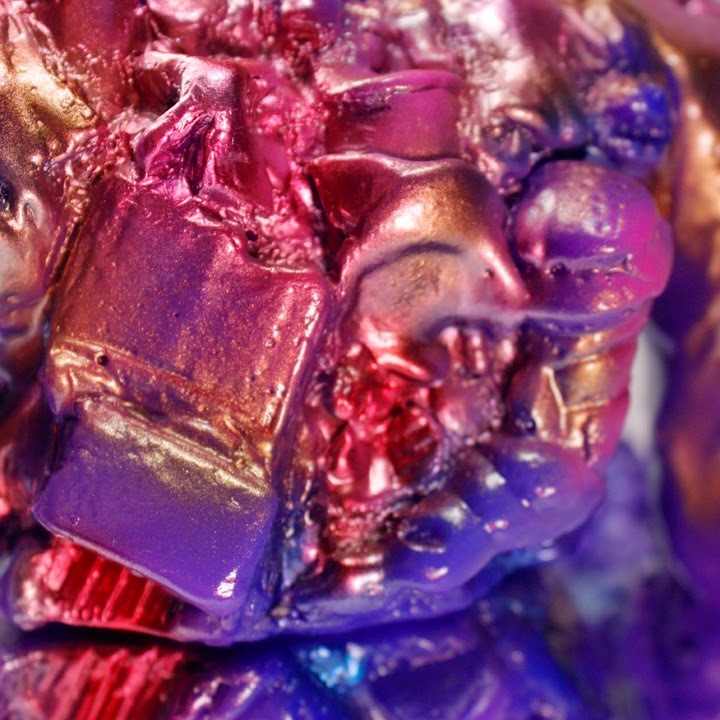 One of my favorite sculpts ever. 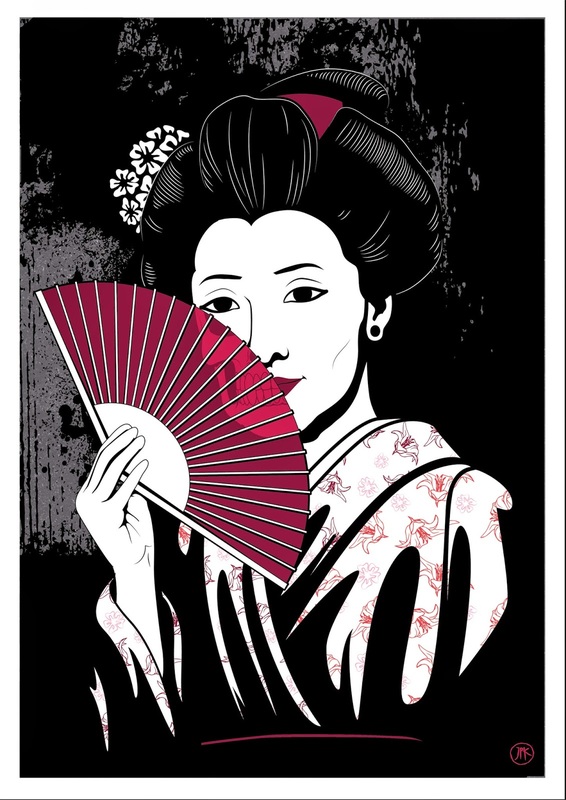 UK based artist Jon-Paul Kaiser doesn't create prints often but he recently received a batch of wonderful prints he illustrated, simply titled "Geisha". Printed on A3 sized heavy-weight pulp paper (380 gsm) with a matte finish, each print is priced at £25 (~$42). 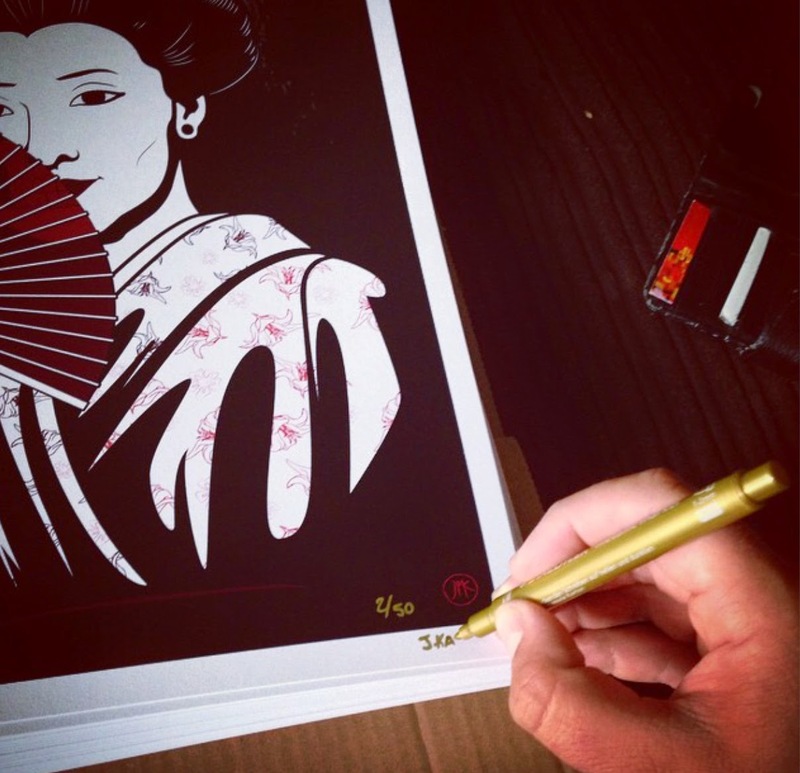 Each print is signed and numbered, with an edition of 50 prints. The illustration looks quite beautiful, with some nice details, which may be missed when looking at the illustration for the first time. This print is going to look great properly matted and framed. 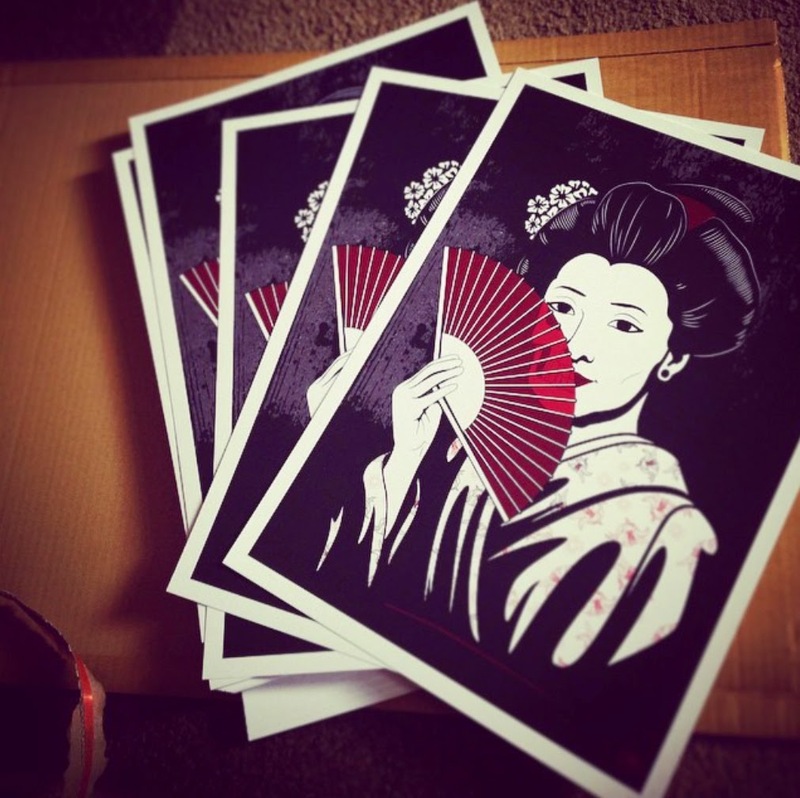 These "Geisha" prints are going to be available through JPK's online store on Friday August 29th at 1600 UK time (9am in California). 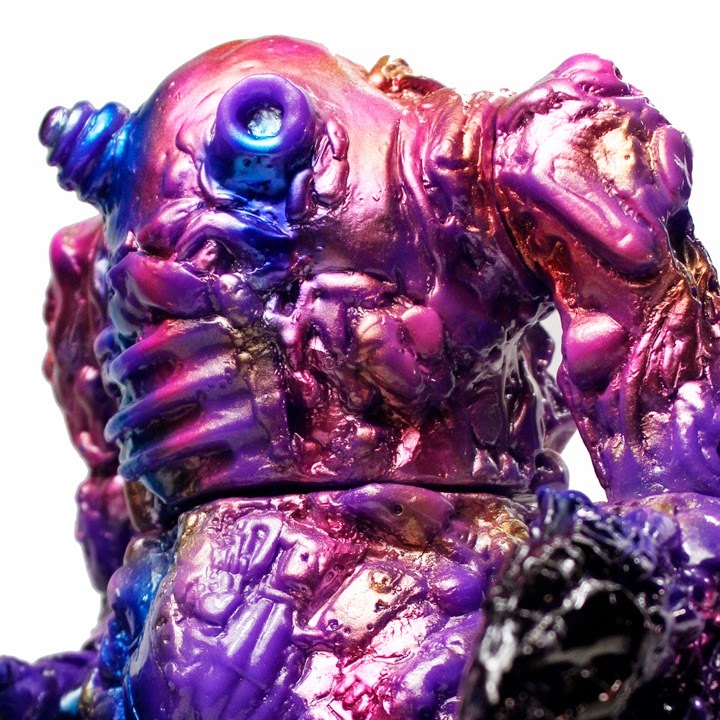 Who knows, if these sell quickly, more Jon-Paul Kaiser prints might be coming in the future. Just got a really interesting email from GROOVE USA INC, which used to be called JUN Planning. 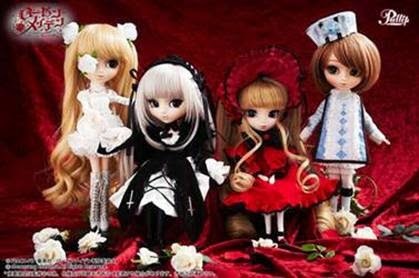 JUN Planning made the crazy popular Pullip dolls... and GROOVE USA will continue the line, adding Sailor Moon and Sailor Mercury to the lineup. 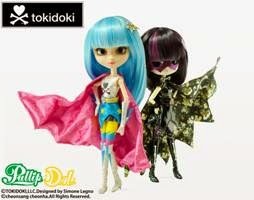 This year saw the release of the San Diego Comic-con Exclusive Pullip/DAL tokidoki SUPERHERO figure, and GROOVE USA will be adding another tokidoki Pullip and a tokidoki x Hello Kitty Pullip to the line. 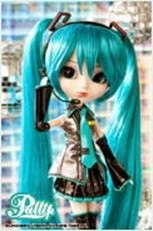 There's also a Vocaloid MIKU Pullip, and the ROZEN MAIDEN SERIES, which includes the KIRAKISHOU, SHINKU, KEIKUJYAKU, and SUIGINTOU figures. Pretty exciting plans! 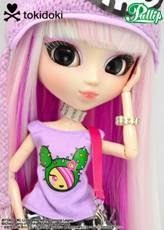 As always, hit us up if you're interested in ordering Pullips from us. 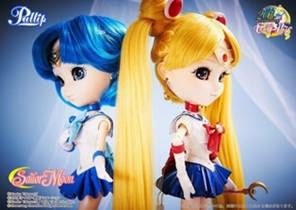 It's a line we've been considering investing in as they continue to release more & more cool figures. 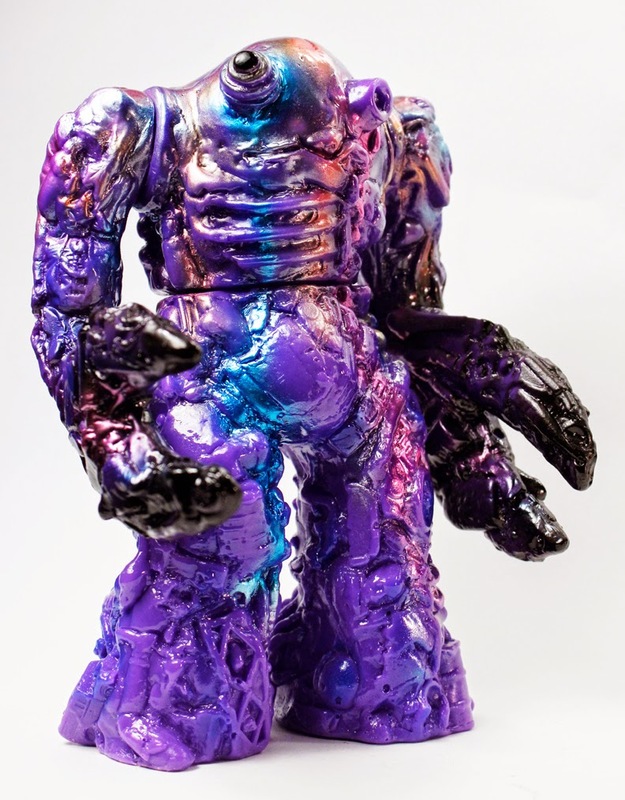 Jeff Beck sheares with us a teaser of his custom Oreion Figure, done for the upcoming "Oreion's Arrival" Toy Release Party this Friday August 29th from 7pm - 9pm at his shop Menace Inc. Studios. 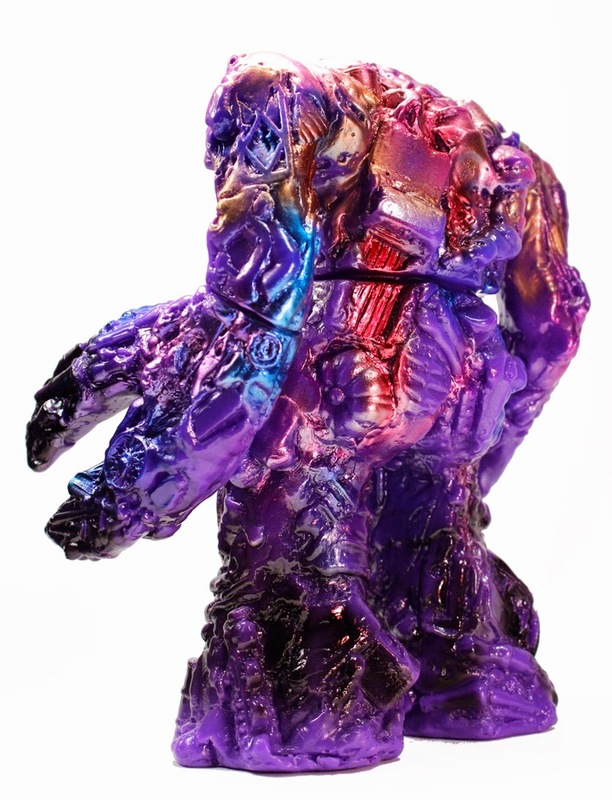 The creators Mike and Tracy Lindenthal designed and had their character Oreion produced in 4 different colors: clear, red, blue and glow in the dark. 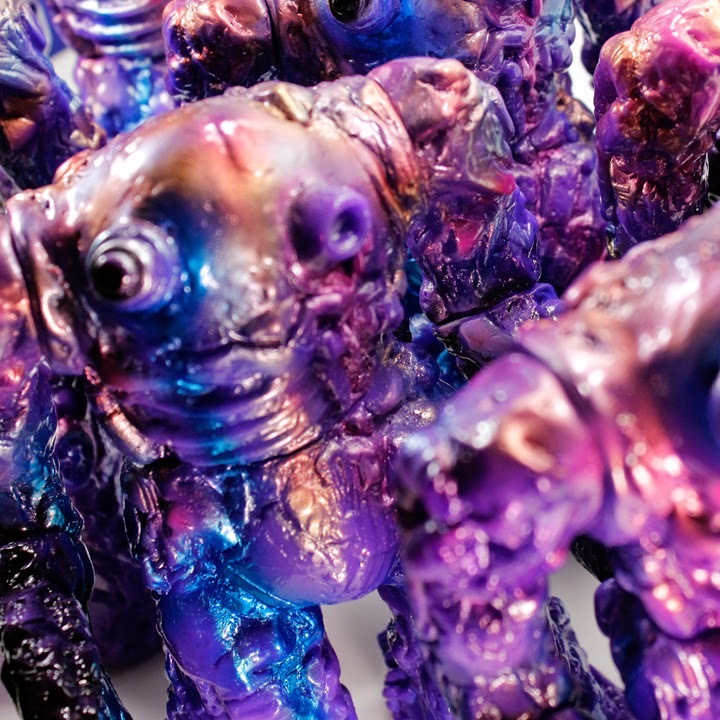 They are 12" tall with a sofubi vinyl head and movable resin tentacles. 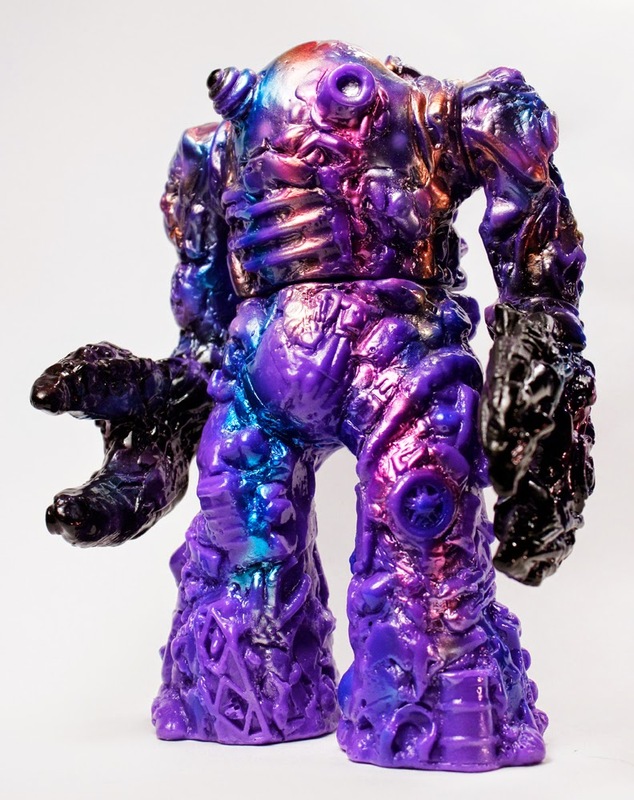 Oreion will be released to the public at this release party and on menaceinc.storenvy.com for $45.00 Each. 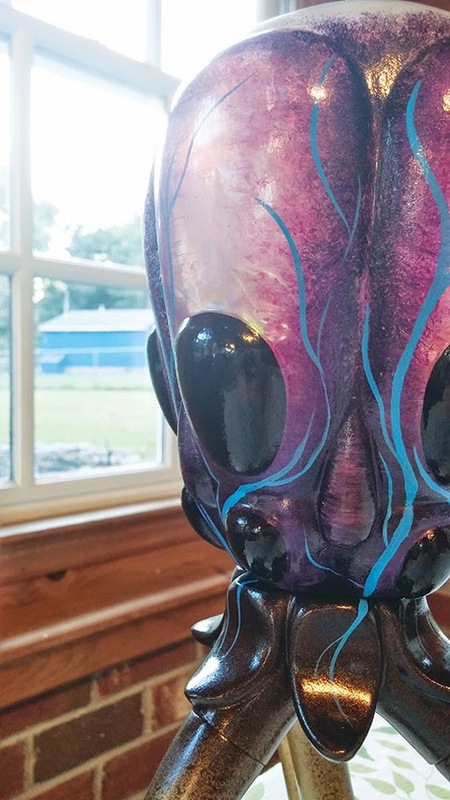 There will also be a handful of custom painted Oreions that will be available at the show. 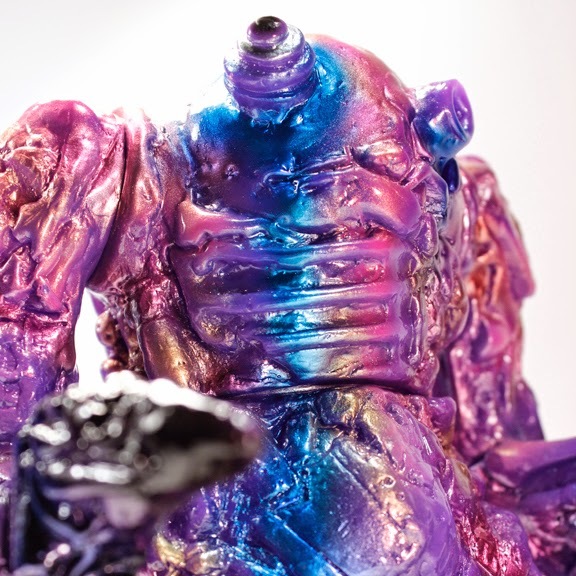 Jeff's piece is called "Creature from the Nth Dimension" and will be available for $125.00. My first batch of signature recipe Dunnycakes, key lime slime. 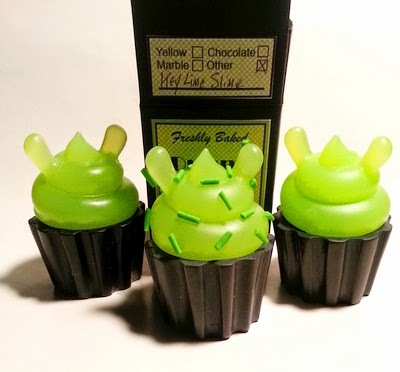 These dunny cakes will come in my signature neon green color or "lime icing" with a swirled yellow and lime cake body! 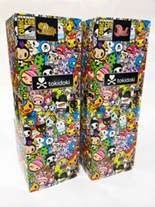 They stand about 3 inches tall just like a normal dunny. 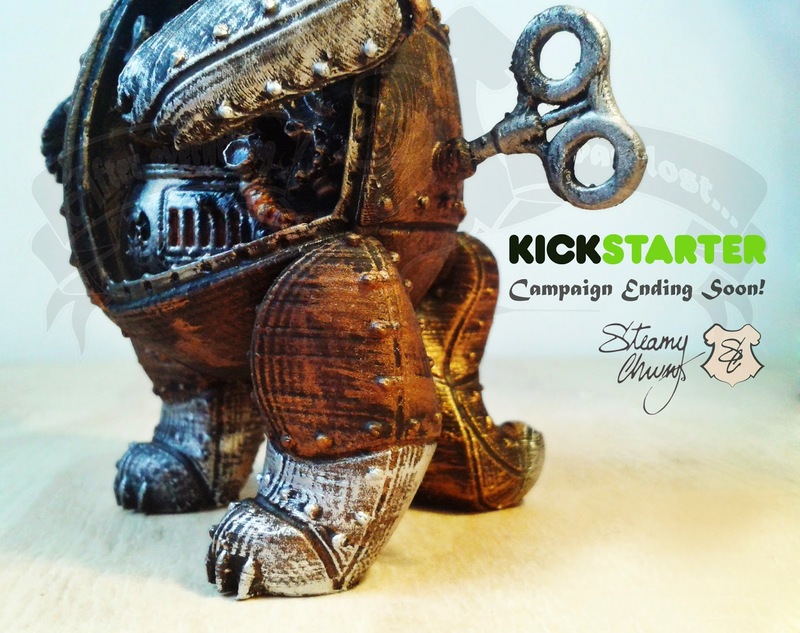 Steamy Chums Kickstarter Ends Sunday! The Fox says... BACK THIS ONE! 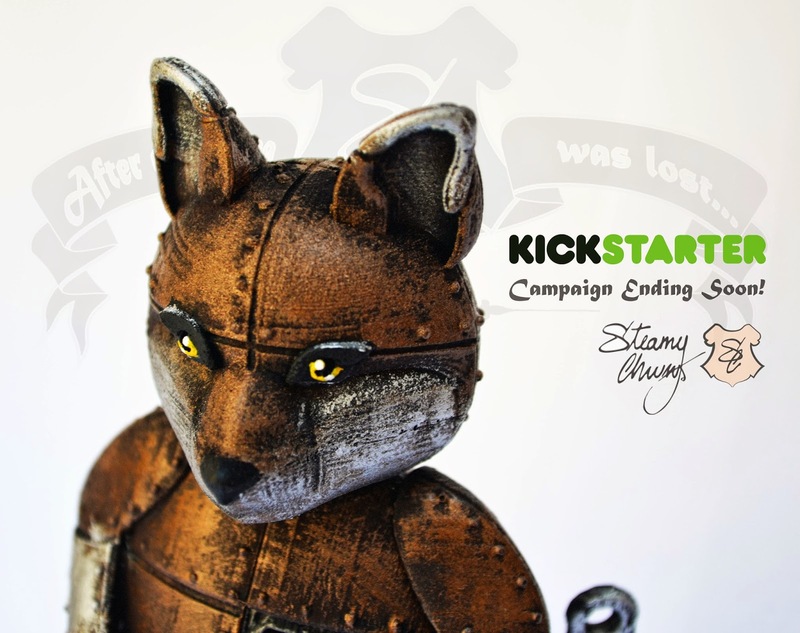 Steamy Chums is 98% funded- let's bring them to the finish line!!! 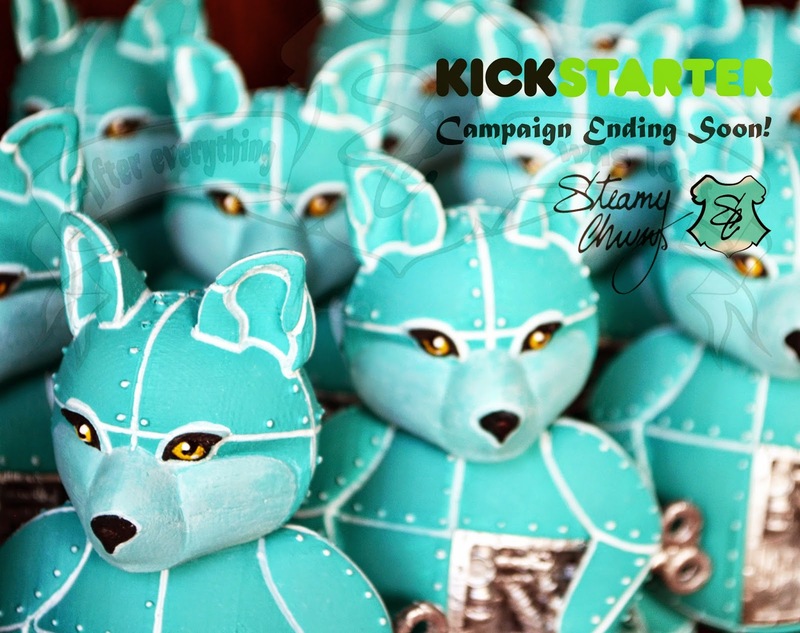 Please share and pledge! 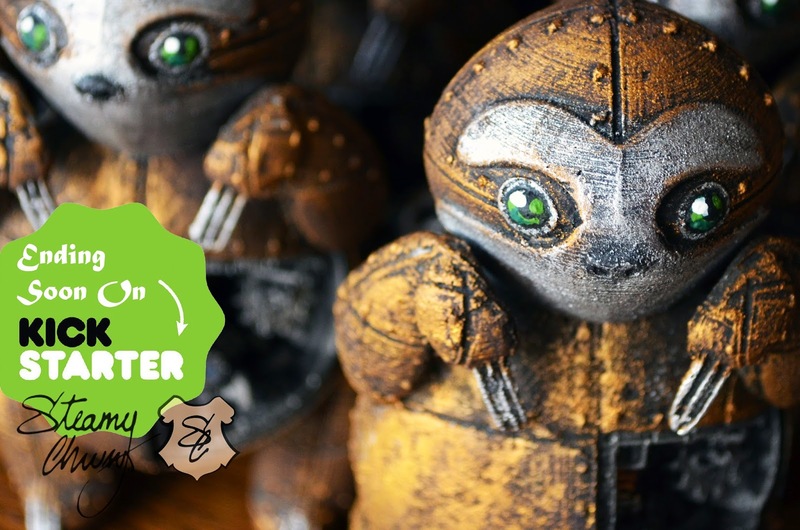 There are rewards levels as low as 1 euro, and as high as 350 euros for the maximum Steamy Chums collection (8 pieces in a custom display crate). ... actual photos here. Printing is tight and bold and the lines are super clean. 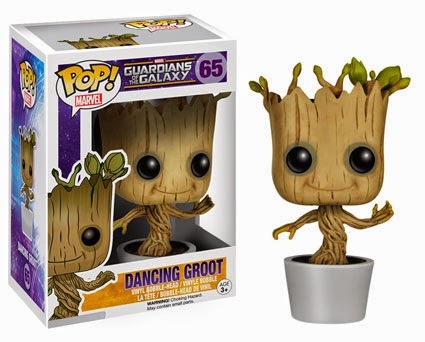 I'm sure the added touch of shipping these figures in plastic baggies, inside draw-string printed pouches, inside a box, helped with the perfect arrival. Love the black & white motif. A couple really stellar additions to my personal collection. 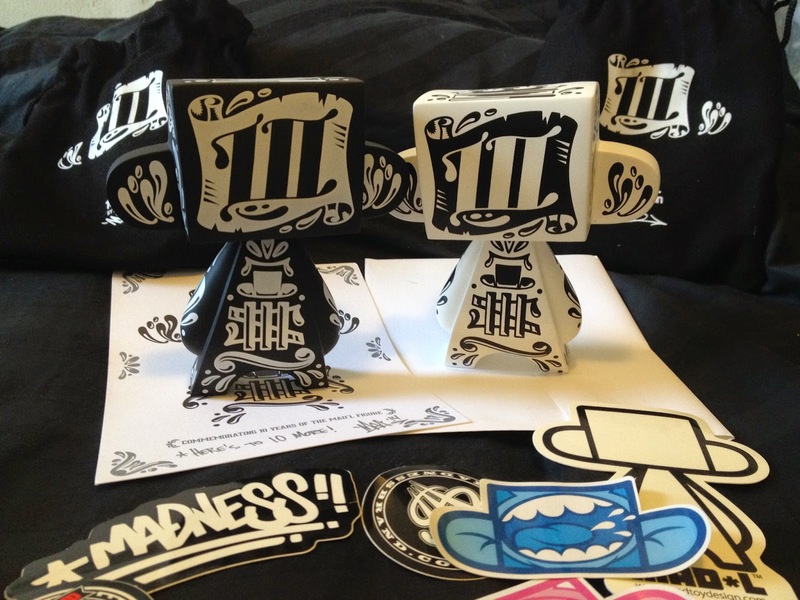 We are super proud to have been stocking the Mad*L figures from the very beginning (well sorta, we started whenever MAD put out Series 1, which sold like crazy... our shop is apparently exactly as old as the Mad*L figure). 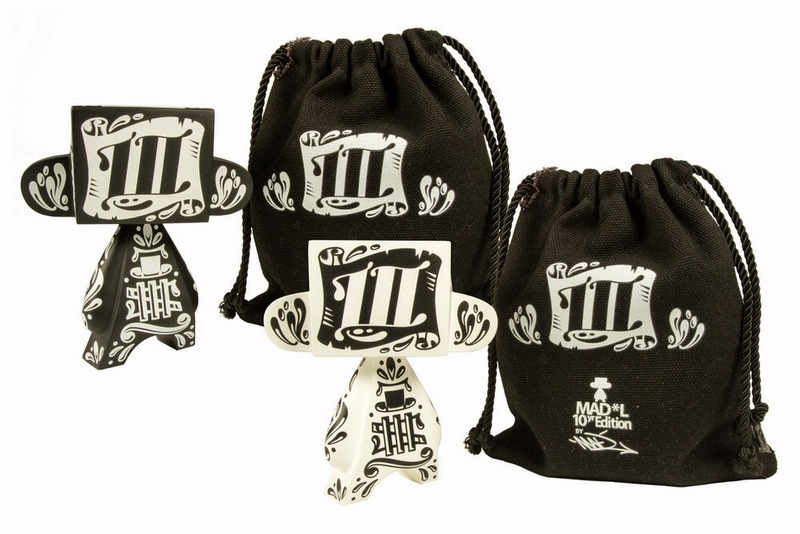 Best of all, you can STILL get a set of these figures in MAD's online store here. 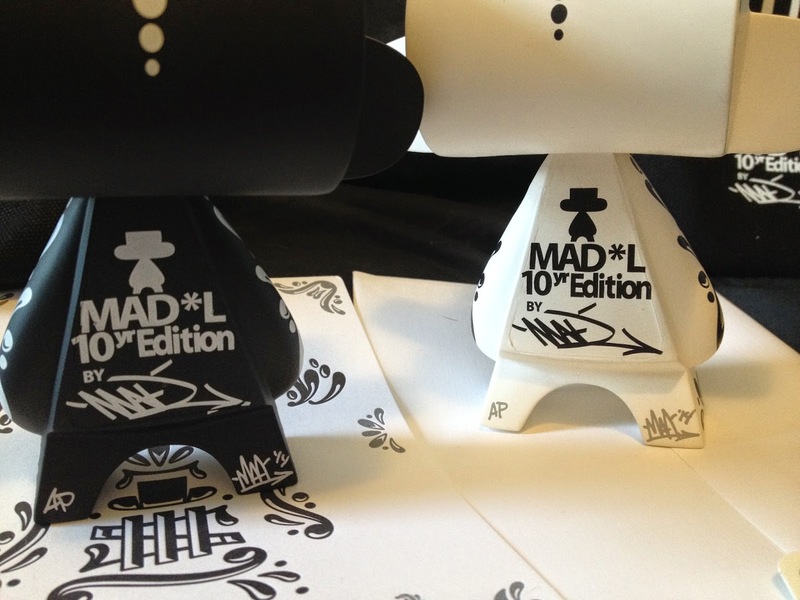 The set of 2 is only $50, which is actually less per figure than his normal 5" MAD*L price! A steal. I'm astonished that there are any left at all. 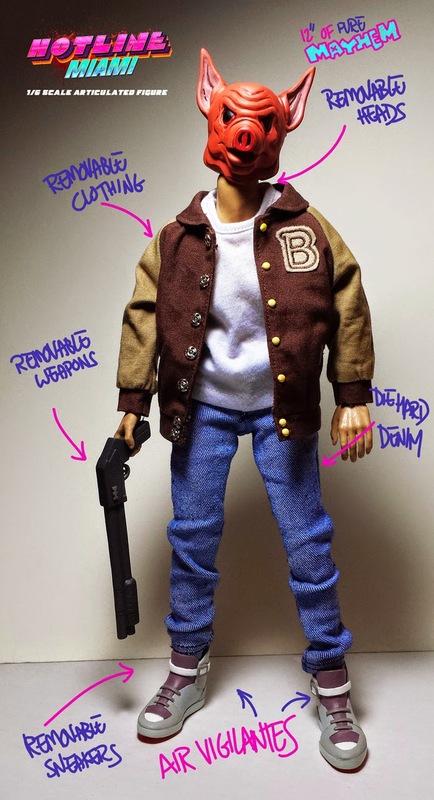 Get yours. 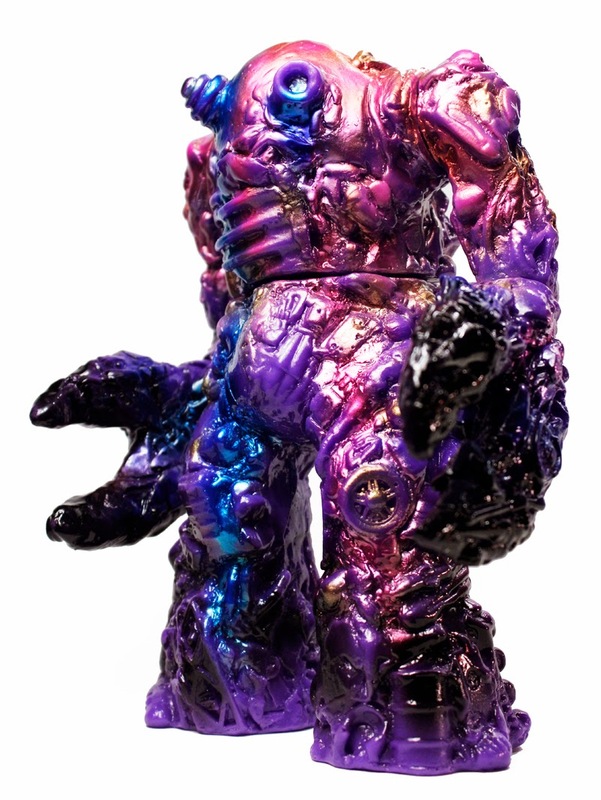 The Exclusive Tenacious Toys X GUUMON “Purple Haze” Daigomi is a short run exclusive (6), with one chase in the mix, sold via lottery. The chase has extra gold spray near the head (pictured immediately below this text). Lottery info is as follows: lottery is open now. 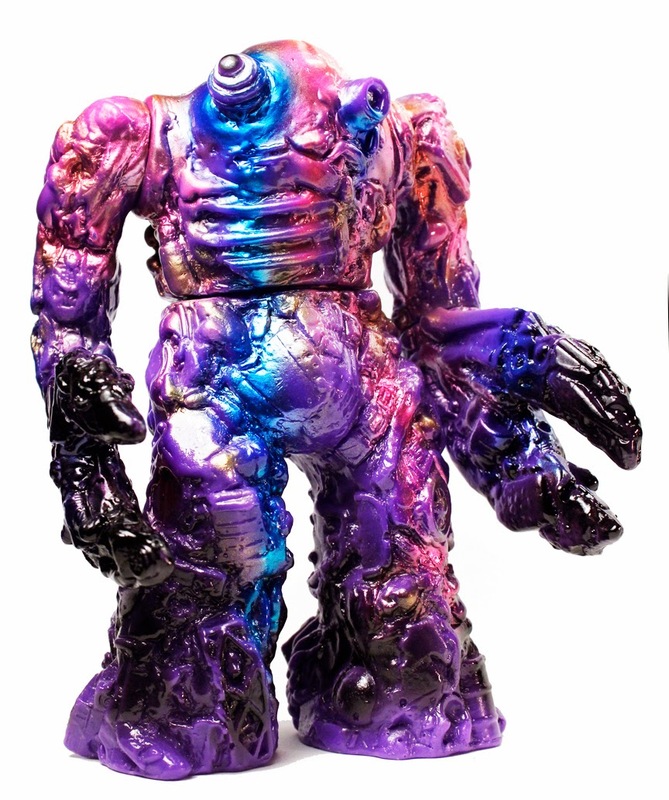 To enter the Lottery, email tenacioustoys@gmail.com and include this information: Title the email with “Purple Haze Daigomi” and in the body of the email include this info: Full name and address, plus paypal account username. Lottery closes Friday August 29th. 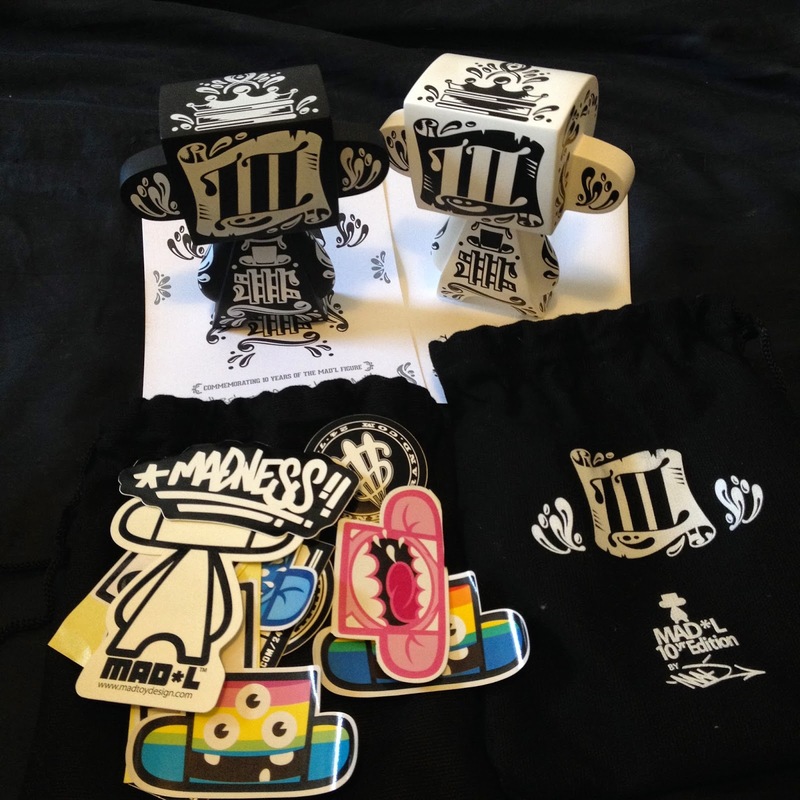 Winners will be chosen at random, only the winners will be contacted….one piece per household. 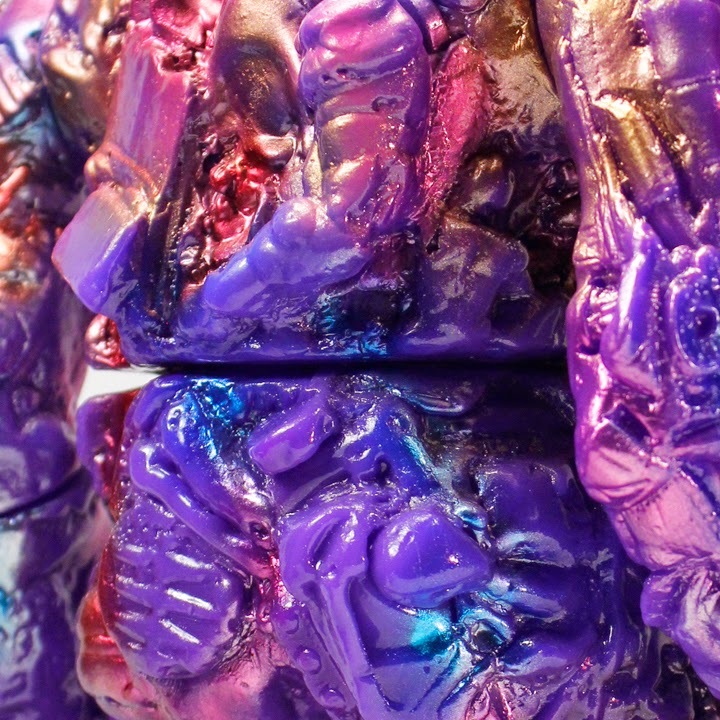 Each of the 6 pieces will be $150+shipping, with USPS or Fedex ship options for all winners.